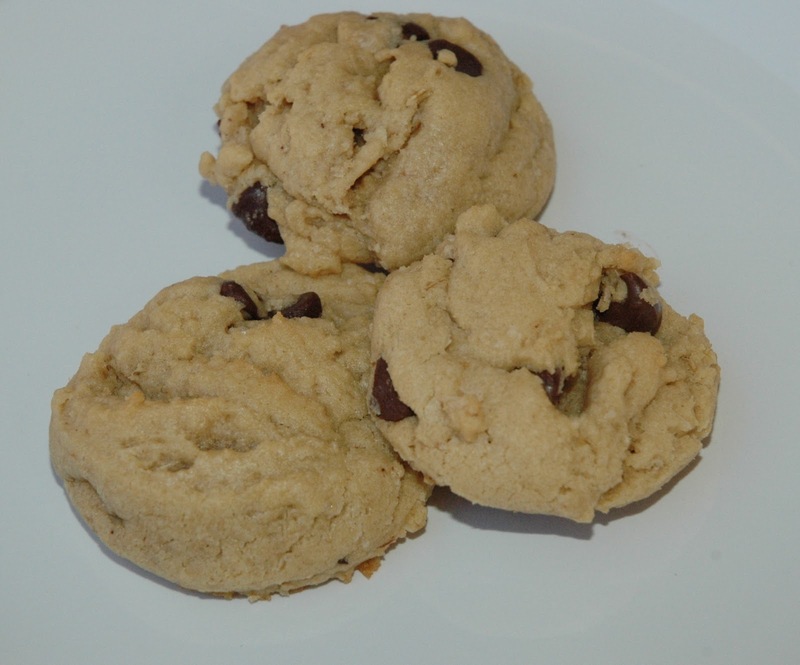 These peanut butter chocolate chips are one of my favorite recipes. One of my roommates my first year of college made these for me. Actually, I don't know if we baked many of these cookies, or just ate the dough in the wee hours of the morning when we should have been sleeping. The first time that I ate one of these cookies, I thought, "Wow! Where have these cookies been all of my life? They are perfect!" And I've been making them ever since (14 years later!). 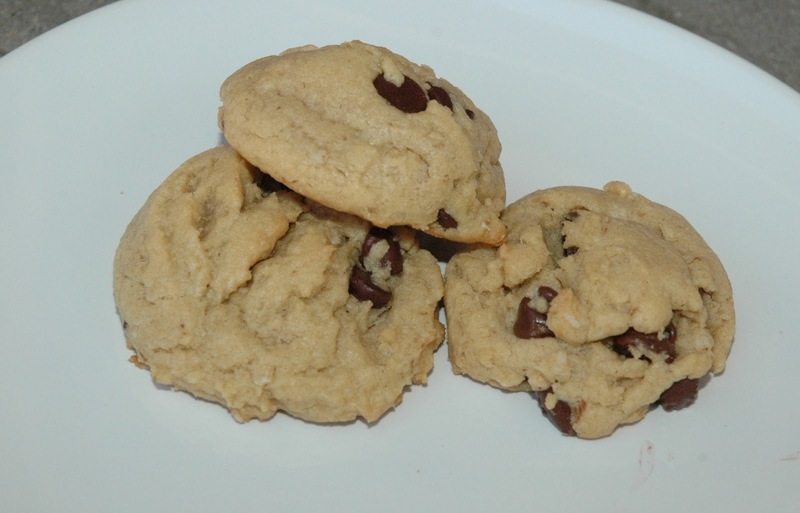 They are even better made with a combination of peanut butter chips, chocolate chips and white chocolate chips. I only had chocolate chips on hand, so that's what I used. Cream butters, applesauce, and sugars together. Add egg and vanilla. Add dry ingredients. May need to add a bit more flour to make a good dough. Form dough into small balls using ice cream scoop.